Sintra ECLIPSE will be showcased at the SGIA Expo to be held Oct. 18-20 at the Las Vegas Convention Center in Las Vegas, Nev. Show-goers are invited to stop by the 3A Composites USA Booth No. 1767 to learn more about Sintra ECLIPSE and to view PRO Series graphic display board samples. Sintra ECLIPSE offers printers the latest advancement and ease in printing vivid images on a black PVC board while retaining the dramatic dark look of black edges all around. Sintra ECLIPSE is comprised of moderately expanded polyvinyl chloride (PVC) in a homogenous black sheet with low-gloss thin white PVC on one surface that is specially designed for screen and digital printing applications. 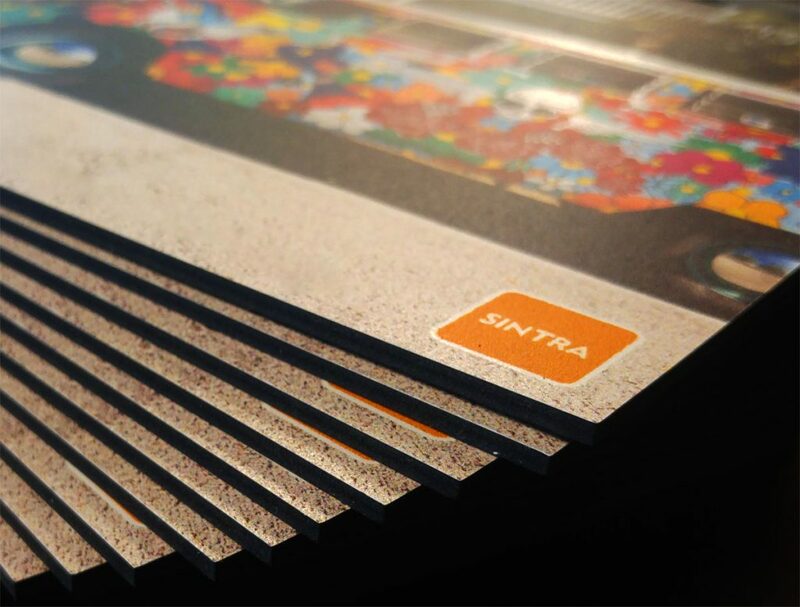 Sintra ECLIPSE saves processors both time and money by eliminating the need for either print pre-coating or laminating processes. The thin white PVC layer offers a superior surface for printing and is designed to be nearly invisible against this graphic display board’s dark edges, maintaining the dramatic look of a black rigid substrate. Just like Sintra graphic display board, durable-yet-lightweight Sintra ECLIPSE is easy to fabricate with wood or foam board techniques. It cuts cleanly, creating smooth edges. Sintra ECLIPSE fabricates easily without special tools and can be formed into limitless shapes using standard PVC fabrication techniques. Sintra ECLIPSE also offers superior dent and scratch resistance. Sintra ECLIPSE is perfect for creating point-of-purchase displays, exhibits and kiosks, and interior signage and can be used in a wide variety of applications, including mounting and framing. 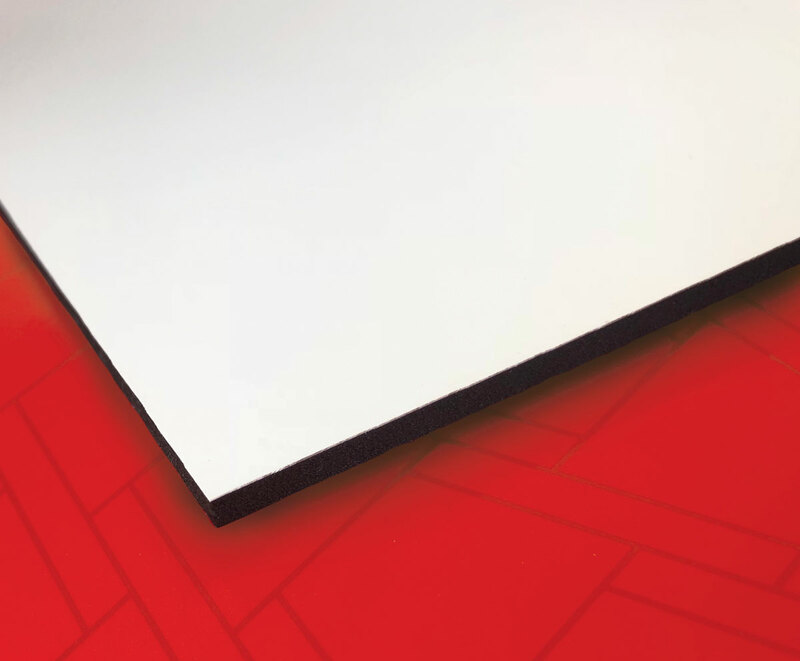 Sintra ECLIPSE is available in the 3mm, 6mm and 12.7mm thicknesses in 48-inch by 96-inch sheets in the one white facer/one black facer/black core color combination. The 3A Composites PRO Series line includes Gatorfoam® PRO and new Sintra® ECLIPSE.